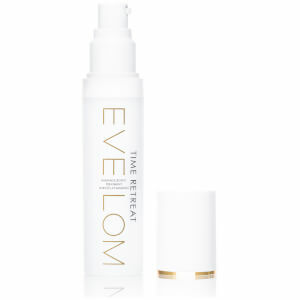 Revitalise the delicate eye area with Eve Lom's Time Retreat Eye Treatment; a powerful anti-ageing formula that works to smoothen, refine and brighten skin. Harnessing the powers of hydrating Sodium Hyaluronate and antioxidant-rich Vitamin E, the fast-absorbing cream helps to minimise the appearance of fine lines and wrinkles, whilst encapsulated Retinol delivers a firming effect so that skin looks plumped and lifted. A dose of Vitamin C combats uneven skin tone and dullness, unveiling a radiant, rejuvenated eye contour with restored luminosity. Aqua (Water), Isostearyl Neopentanoate, C12-15 Alkyl Benzoate, Glycerin, Hdi/Trimethylol Hexyllactone Crosspolymer, Myristyl Myristate, Ascorbyl Tetraisopalmitate, Cetearyl Olivate, Sorbitan Olivate, Dipalmitoyl Hydroxyproline, Phenoxyethanol, Lecithin, Alcohol Denat., Pentylene Glycol, Avena Sativa (Oat) Kernel Extract, Carbomer, Benzyl Alcohol, Hydroxyethyl Acrylate/Sodium Acryloyldimethyl Taurate Copolymer, Polysorbate 81, Squalane, Xanthan Gum, Sodium Hydroxide, Ethylhexylglycerin, Sodium Hyaluronate, Disodium Edta, Tocopherol, Alcohol, Retinol, Polysorbate 20, Silica, Polysorbate 60, Dehydroacetic Acid, Potassium Phosphate, Sorbitan Isostearate, Soy Isoflavones (Geistein). 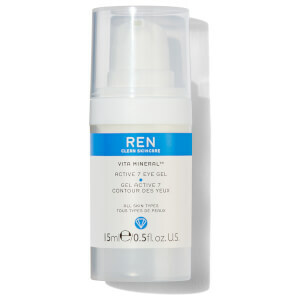 Apply a small amount to clean dry skin around the eye contour.